2020 Astrology by Jessica Adams. 2020 Astrology – Your 5 Year Horoscope Guide by Jessica Adams is based on the 12 million hit website, jessicaadams.com and covers every aspect of modern 21st-century astrology. It’s your way of discovering your personal birth chart, as you’ve never seen it before – and predictions through 2020. Ten years ago I wrote an astrology book called 2020 Vision. My Sagittarian publisher at Penguin Books came up with the title. Astrology has transformed beyond recognition since then. Pluto was demoted. We have new heavenly bodies to work with, like Neptune’s wife. I needed to edit my original book and add new sections. Most importantly, the eBook has come along. This means you can now read this eBook while looking at your astrological birth chart online. This book, 2020 Astrology – Your Five Year Horoscope Guide allows you to make your personal horoscope work harder for you. 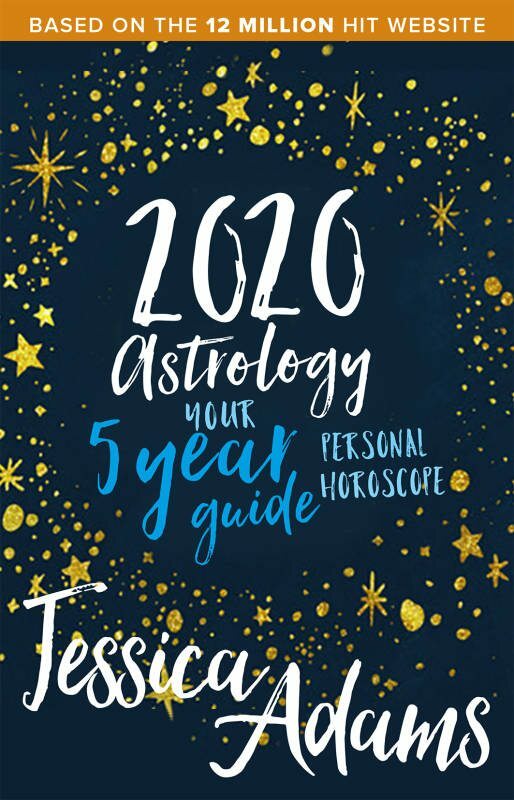 2020 Astrology – Your 5 Year Personal Horoscope Guide is interactive so that you can read chapters on your computer, Kindle or iPad and refer to your own birth chart on Jessica’s website at the same time. Regular updates, exclusive extras for Premium Members and tie-in events around the world will appear here. Thanks for dropping by to find out more about my new ebook. When we found out that our website had been visited 12 million times in 12 months I thought it would be great to give readers like you even more as a way of thanking you for an incredible year. This book is a fully updated and extended edition of 2020 Vision which was published by Penguin Books almost ten years ago. Astrology has changed dramatically since then with the demotion of Pluto and I needed to rework that book! Beautifully designed by Creative Director Mark Elder, this is one to take away on your next vacation or to smuggle into the bath. Best of all, with this book and your birth chart, you can find out who you are. She is well known for making specific, accurate predictions – years in advance. Read more.